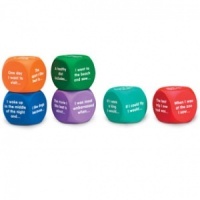 Great for both group as well as one-to-one teaching. 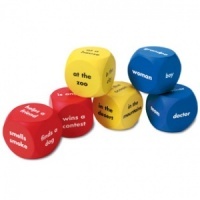 As well as older children, younger children who cannot yet read can be introducted to oral storytelling with these color-coded durable 4cm foam cubes. 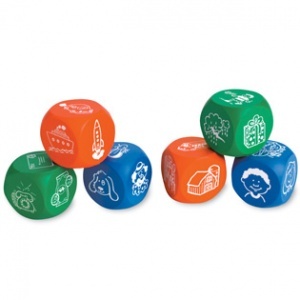 Set of six picture cubes includes two blue character cubes, two orange setting cubes and two green situation cubes. When cubes are combined after a roll of the dice, children have all the elements they need to start a story.